According to study many wandering alien worlds, which were ejected from the solar systems in which they formed, likely find new homes with different suns. The finding could explain why some alien planets orbit extremely far from their stars. Study lead author Hagai Perets, of the Harvard-Smithsonian Center for Astrophysics, and co-author Thijs Kouwenhoven of China’s Peking University simulated the evolution of young star clusters containing about as many free-floating planets as stars. They found that 3 to 6 percent of the stars would grab a rogue over time. The more massive a star, the more likely it is to snag a planet. Rogue planets are a natural consequence of star formation. Newborn solar systems often contain multiple planets. 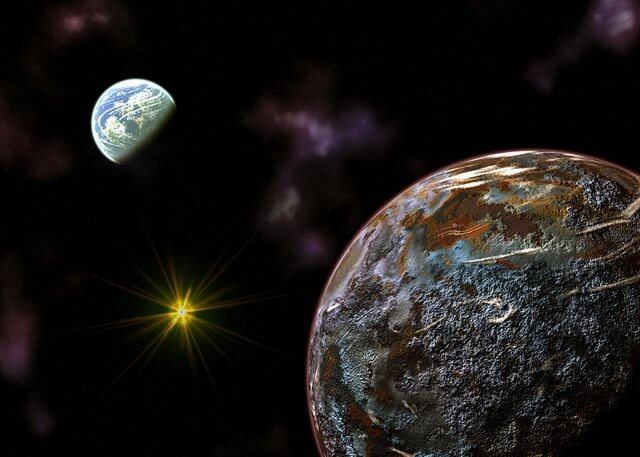 One or more of these worlds can be ejected as a result of planet-planet interactions, becoming interstellar travelers. Scientists think such roamers are common throughout our Milky Way galaxy. One study last year, for example, estimated that rogues outnumber “normal” alien planets with obvious parent stars by at least 50 percent, and that they’re nearly twice as common as main-sequence stars like our sun. Rogues don’t have to stay parentless forever, however. As said researchers they can latch onto a different host star if it’s traveling in the same direction at about the same speed. Captured planets generally end up hundreds or thousands of times farther from their new stars than Earth is from the sun. They’re also likely to have orbits that are tilted relative to any “native” planets, and they may even revolve around their stars “backward”.